Mute Soundproofing® sound insulated Menlo Park Music headquarters in central London. 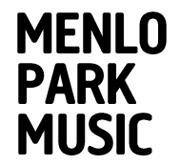 With the success of their band, Menlo Park went on to become Bafta award winning composers and producers. Collaborating most recently with Anton Corbijn and Romain Gavras for Dior. This entry was posted on Saturday, August 8th, 2015 at 3:13 pm	and is filed under Soundproofing News. You can follow any responses to this entry through the RSS 2.0 feed. Both comments and pings are currently closed.